"PROVIDING THE MOST RELEVANT NEWS FROM PILES OF JUNK AND CREATING A PLATFORM TO PREDICT,DISCUSS AND INVEST." NewsMint is a social network for the finance community. A place where you get the latest News and can interact with other like minded investors. News Mint provides consolidated finance News. 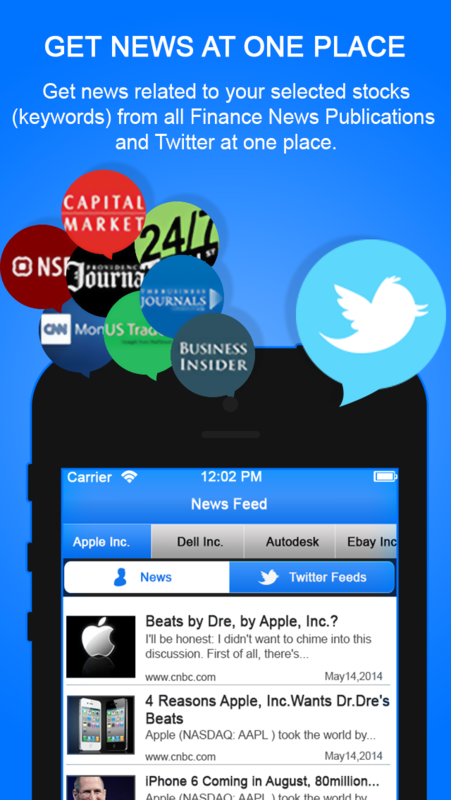 The app segregates and collects news for your selected stocks from the best finance News portals and social networks. It then provides you consolidated News for selected stocks on a single place. You don’t have to go through all the sources and loads of unnecessary information to find the News that you need. 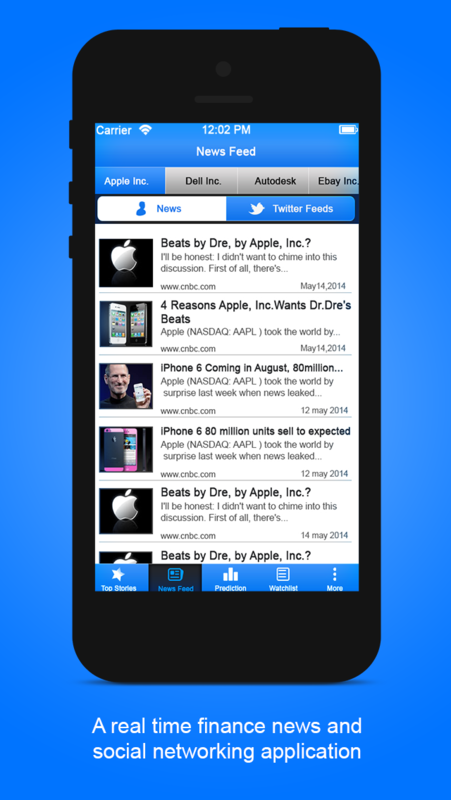 The app also notifies you when any news is generated so that you do not miss anything. You select stocks as keywords and add them to your portfolios. Whenever any new News is generated anywhere across the web for the stocks that you have selected (keywords), you will receive a notification on your mobile device. This way you can keep in touch with all the development in stocks of your interest. 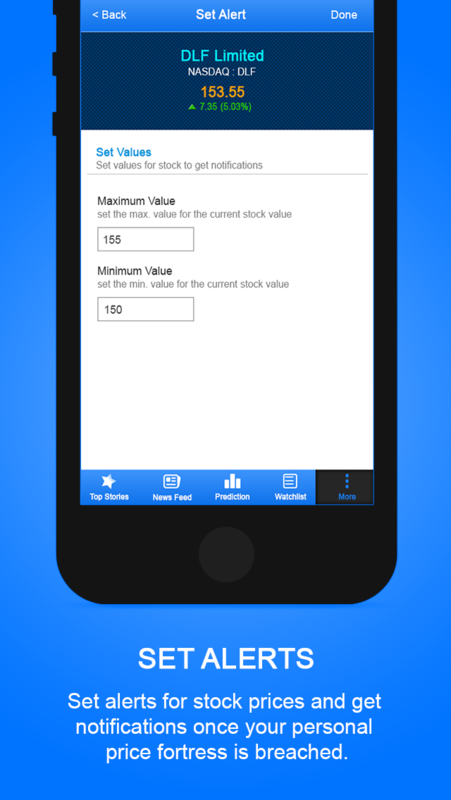 The application also collects user predictions for stocks and users can see predictions of other users for different stocks. You can set price alerts for your stocks and get notifications when your price benchmark is breached. 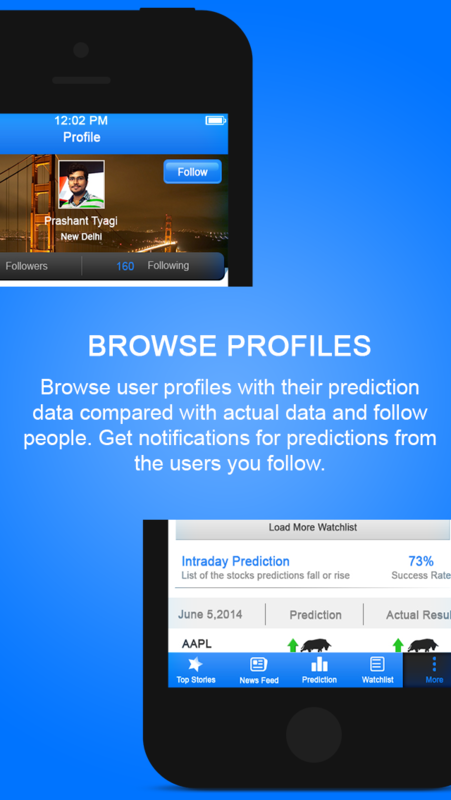 You can browse user profiles and their prediction data. You can also compare the predicted data with actual data. 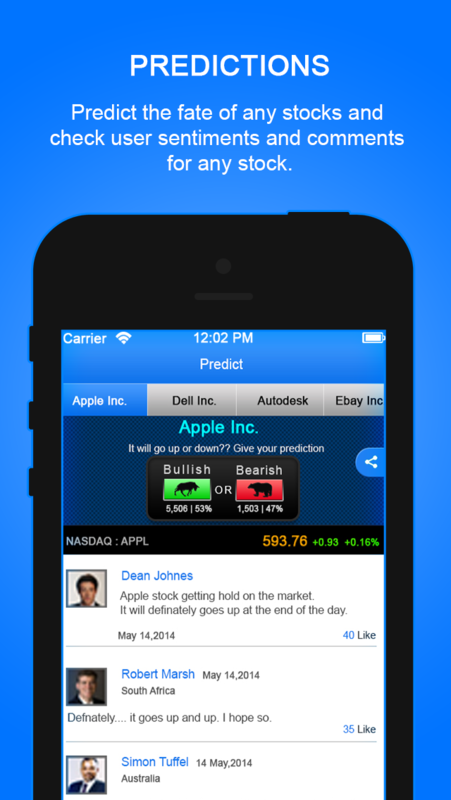 You can follow others users and get notifications when they make any predictions or follow any new stock.